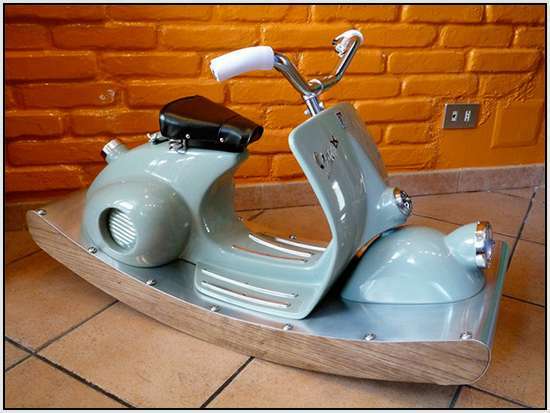 Vespa Motorcycle aficionados looking to recruit a new generation of fans should start as young as possible. 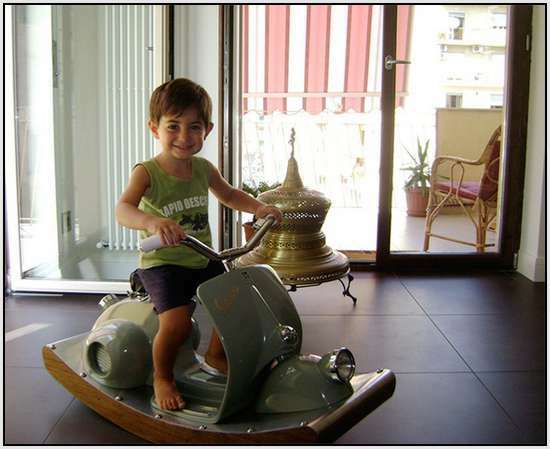 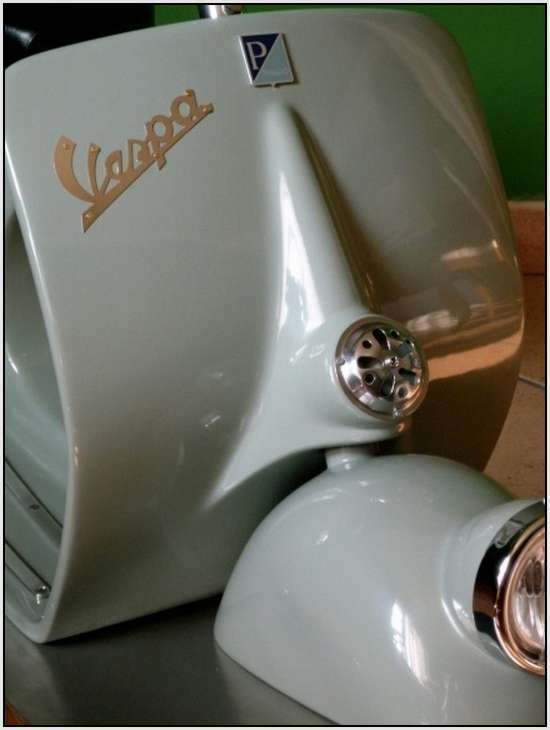 In fact one grandfather started well before his grandson was old enough to ride a real motorcycle and created a rocking horse out of an old workhorse Vespa. 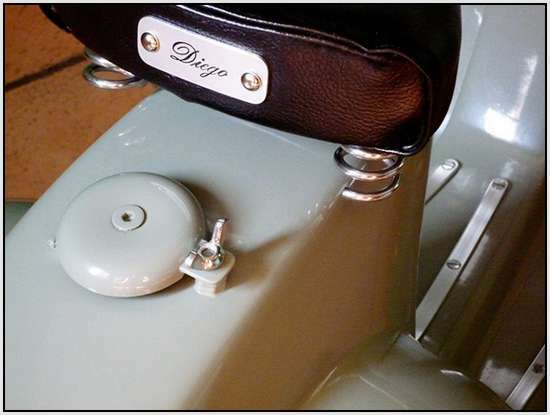 Named for his grandson, Diego, who may be too young to appreciate just how cool his rocking horse really is. 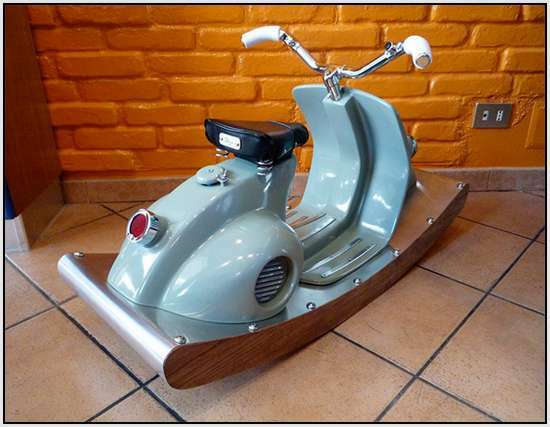 Either way he’s a lucky kid to have such a cool custom toy, not to mention such a cool grandfather.